Monitoring anabolic steroids in meat-producing animals is a challenging task. It implies very specific and sensitive analytical methods able to detect and identify sub-μg kg−1 residue levels in complex biological matrices such as meat, urine, or hair. Gas and liquid chromatography coupled to mass spectrometry are the most efficient means of achieving these objectives. In this paper we review how developments in mass spectrometry have been rapidly applied to this problem, how efficient analysis of anabolic steroids in urine, edible tissue, and hair has been achieved, and, later, how measurement of conjugate steroids and determination of the origin of natural steroid hormones has been achieved. 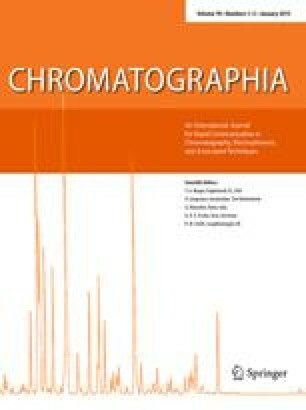 The performance characteristics of different mass spectrometers (quadrupole, ion-trap, electromagnetic, isotope-ratio, tandem, and hybrid instruments), the efficiency of different acquisition techniques (LR-SIM, HR-SIM, MRM), and, finally, sample introduction (gas chromatography and liquid chromatography, with discussion of alternative interfaces) are discussed, with numerous applications.